A major row has broken out in the Church of Ireland between two previous archbishops of Dublin, a previous dean of St Patrick's Cathedral, and the current Church of Ireland Archbishop of Dublin Michael Jackson. It follows Archbishop Jackson's comments last Monday on his "bitter experience" of sectarianism since assuming office. In his presidential address to the Dublin and Glendalough diocesan synods on Monday night, he said: "When I came here in 2011, my impression would have been of two dioceses which saw themselves as all-tolerant, all-liberal, all-inclusive. I have learned through much bitter experience that exclusionary attitudes, and indeed sectarianism itself, is alive, not least in the Church of Ireland community. To me this has been a deep and shattering sadness." His observation appears rooted in reaction to a decision that the Church of Ireland College of Education is to sever links with Trinity College and become part of a new institute of education also involving St Patrick's College, Drumcondra, the Mater Dei Institute and Dublin City University. In a letter to The Irish Times today, Archbishop Walton Empey, archbishop of Dublin and Glendalough from 1996 to 2002, said he was "deeply shocked" by Archbishop Jackson's comments. It was true, he said, that people were "deeply concerned" about protecting the Church of Ireland ethos in education, its links with Trinity College when it came to teacher education and possible deterioration of its ethos at Tallaght hospital. Such views, he said, were "not sectarian" but about maintaining "our ethos as a minority church". He shared such views, he said, adding: "But I do not think anyone could accuse me of sectarianism." Archbishop Empey said yesterday he was "disappointed" with what Archbishop Jackson had said and people he had spoken to were "appalled" by what they considered "absolute nonsense". He also complained about "lack of consultation" on preserving the ethos of the College of Education. 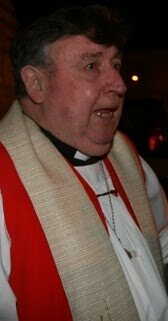 Archbishop John Neill, archbishop of Dublin and Glendalough from 2002 to 2011, said yesterday: "I absolutely assent to everything Archbishop Empey said [in his letter]. Archbishop Jackson's sectarianism comments "didn't ring a bell with me at all", he added. He felt that, "coming from Northern Ireland [as Archbishop Jackson does] it is easy to read everything to do with preserving ethos as sectarianism". Rev Dr Robert MacCarthy, dean of St Patrick's Cathedral in Dublin from 1999 to 2012, said of Archbishop Jackson's comments yesterday: "I don't understand what he means." He said he "never came across" sectarianism among Church of Ireland members in Dublin.